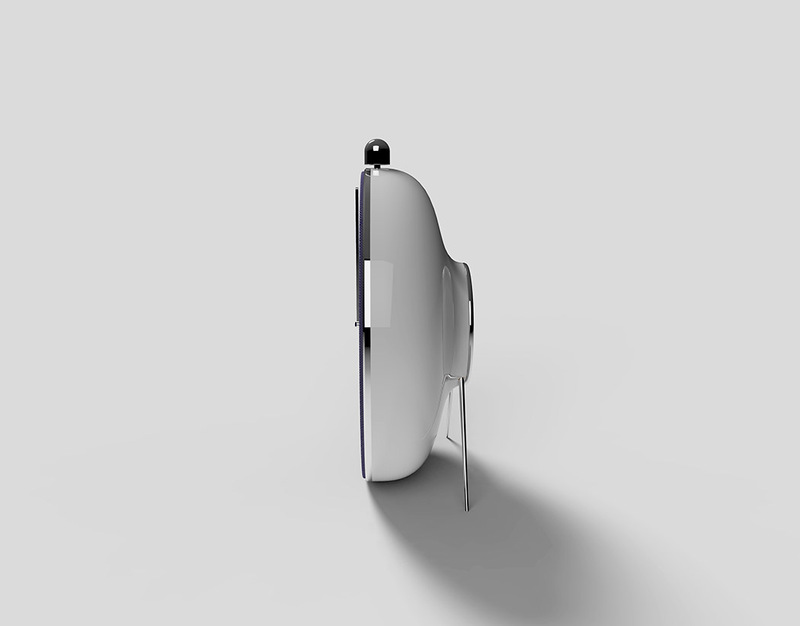 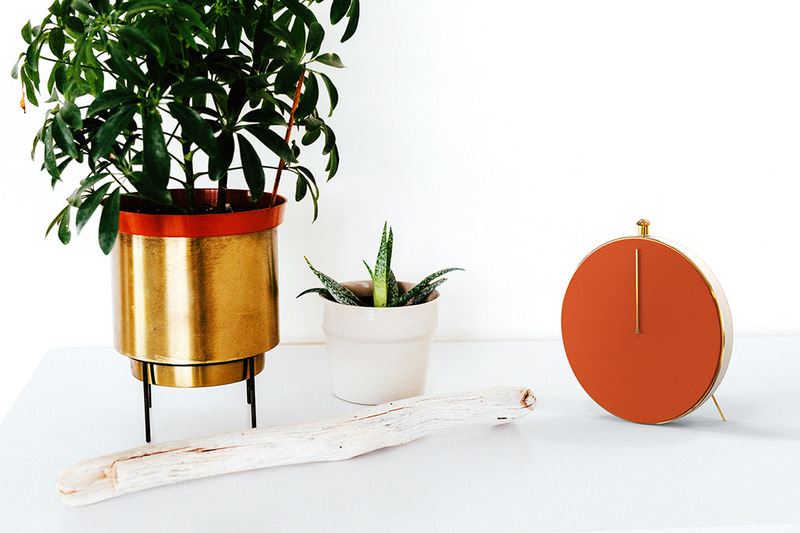 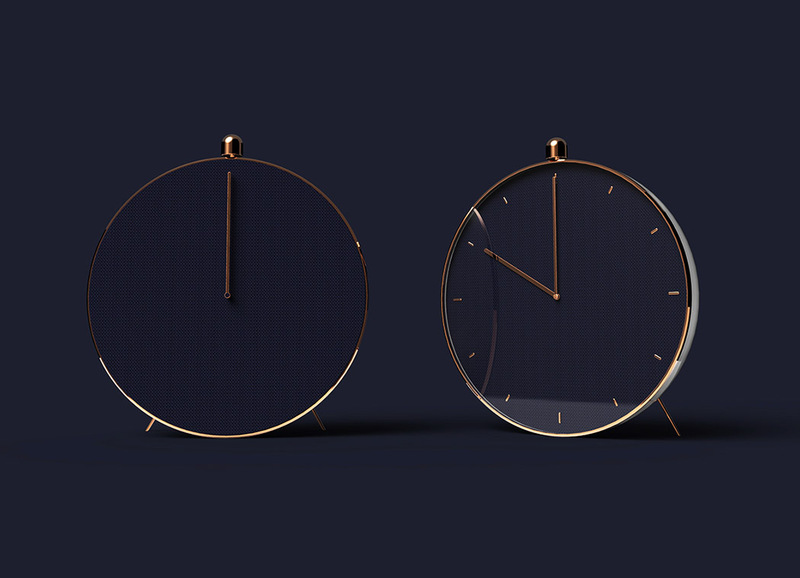 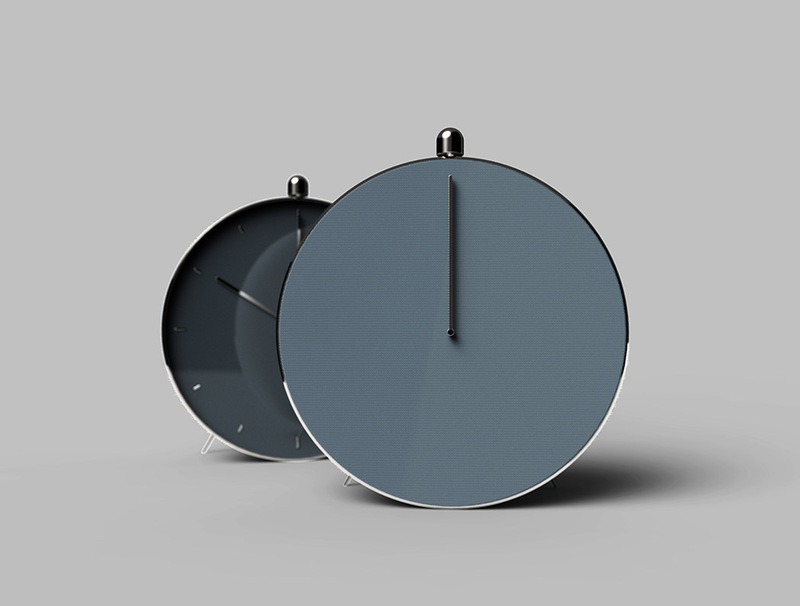 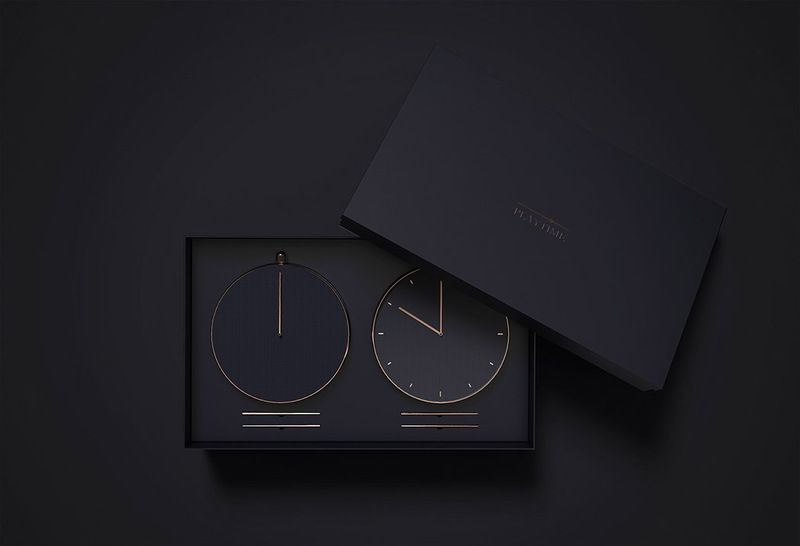 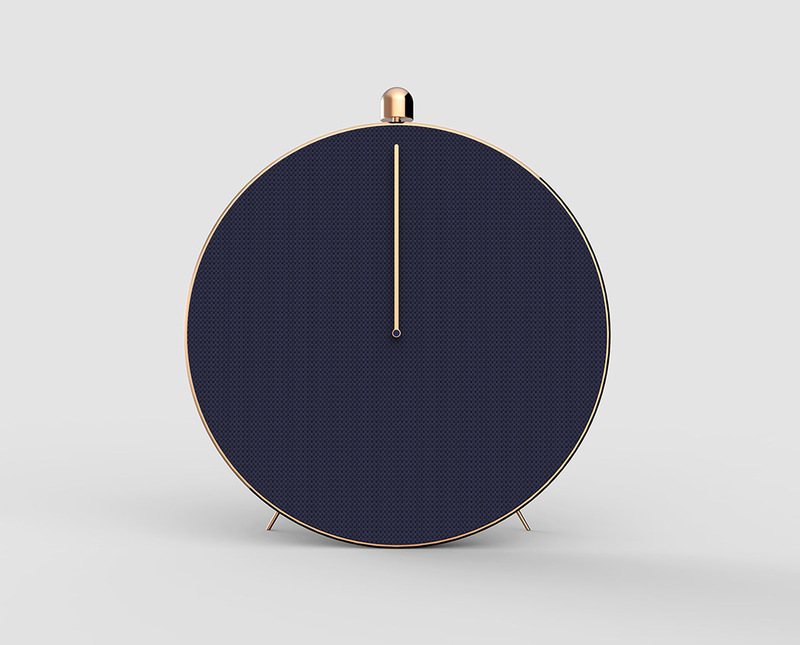 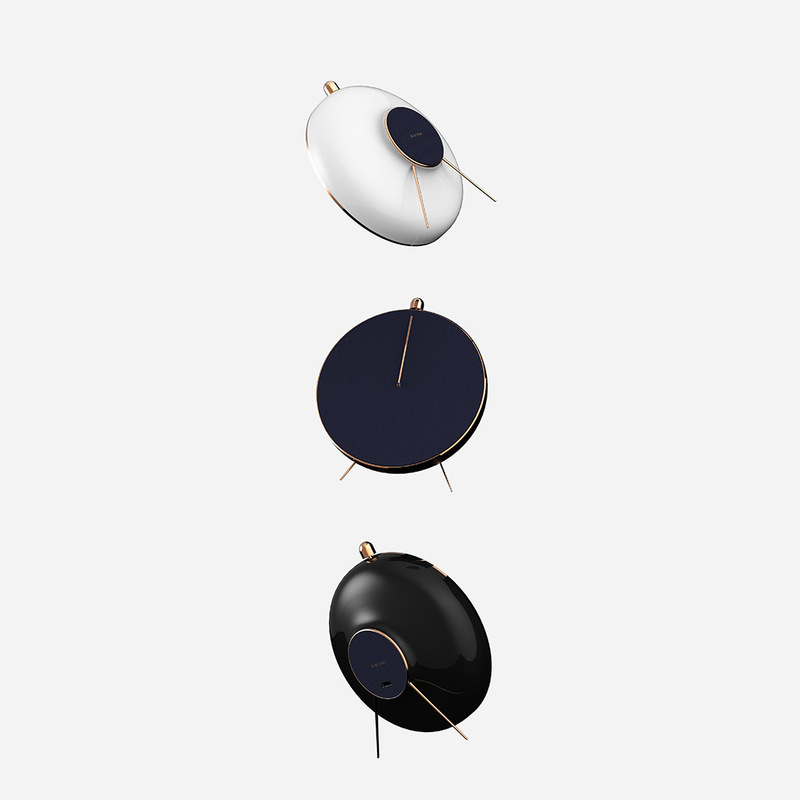 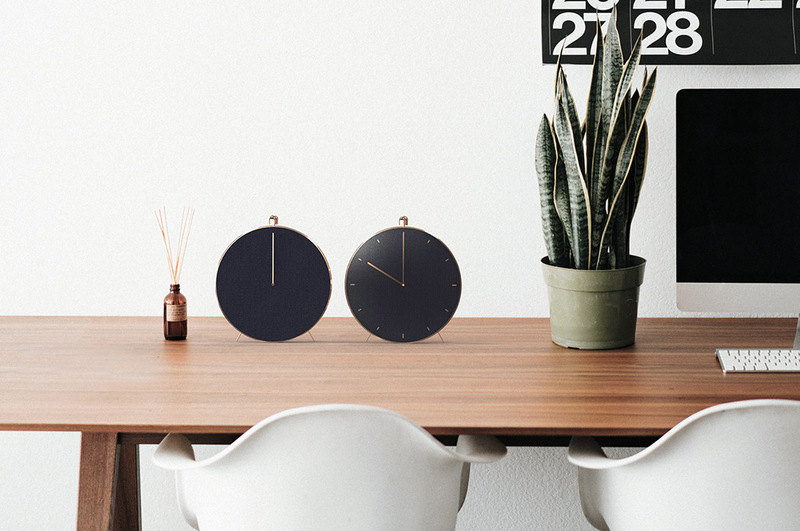 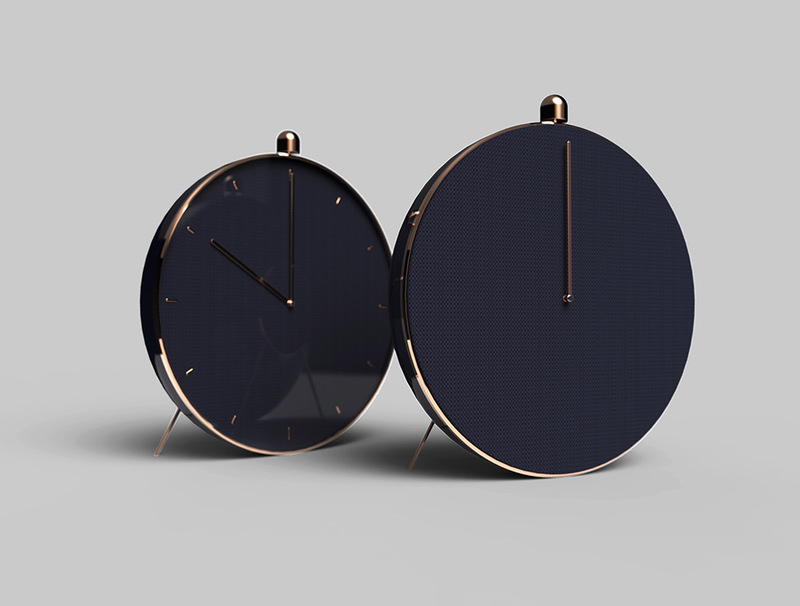 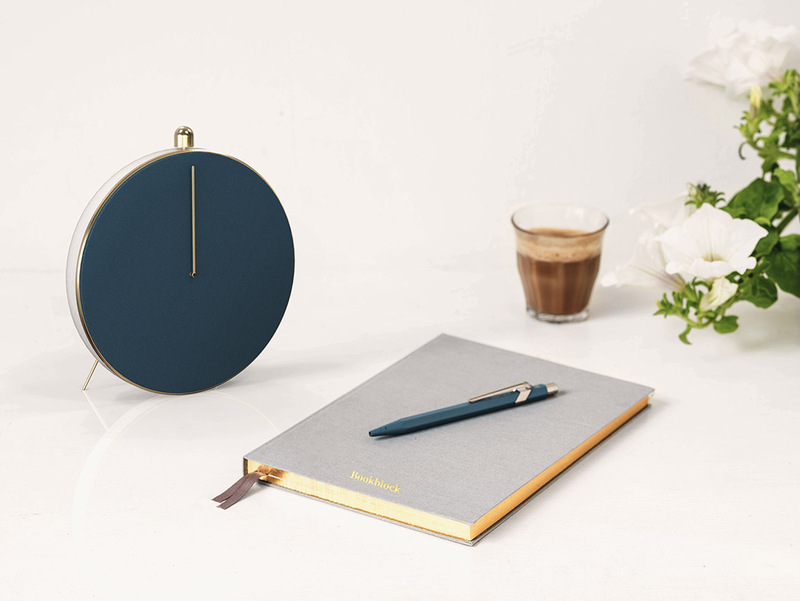 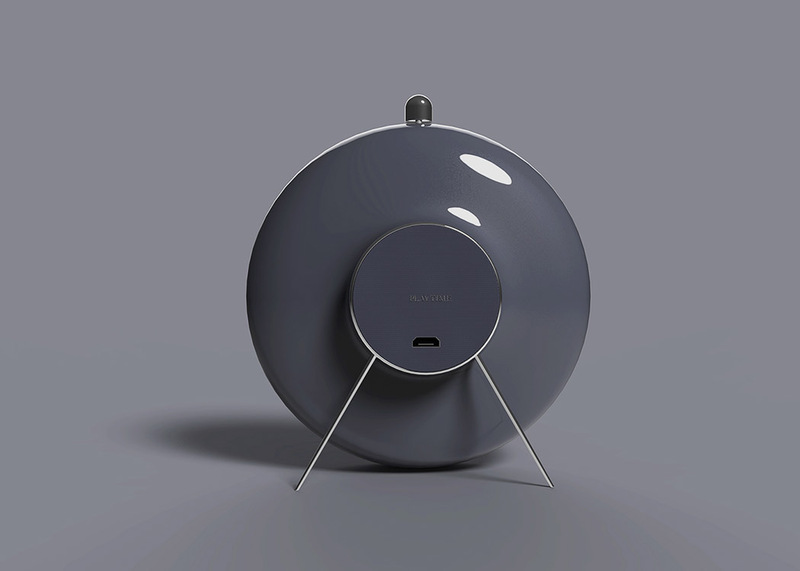 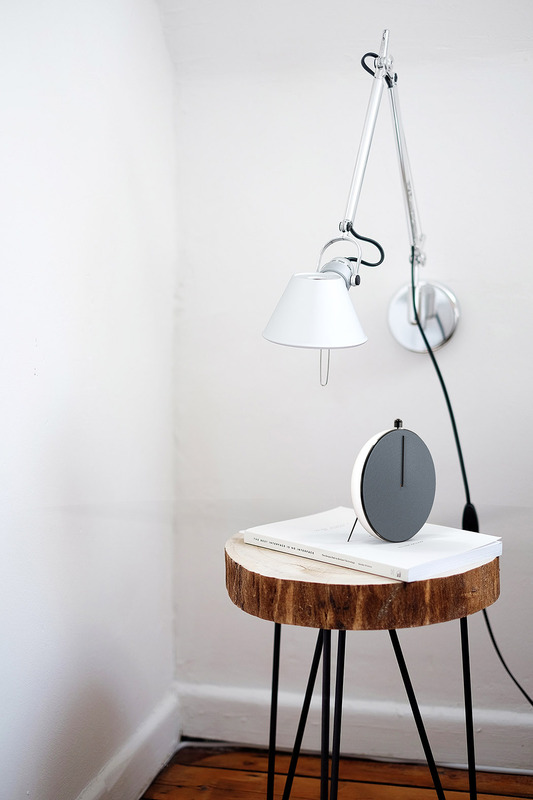 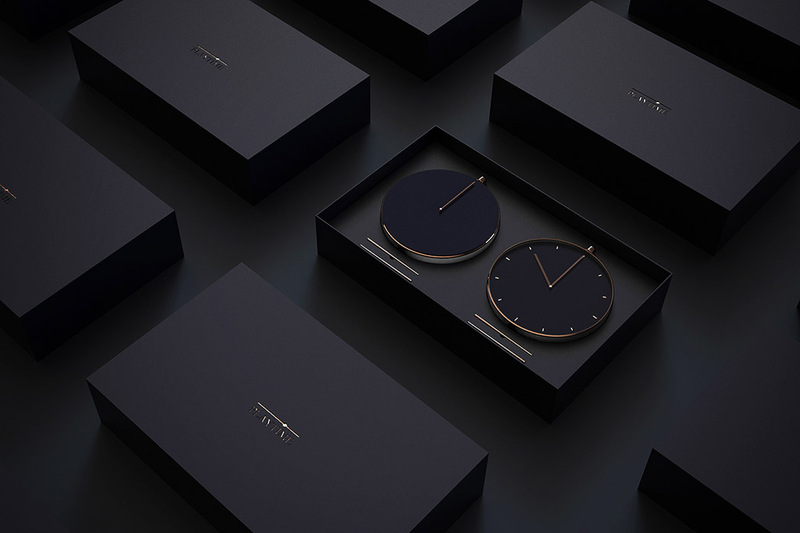 Seoul based designer Chanju Park has created a minimalist clock named PlayTime. 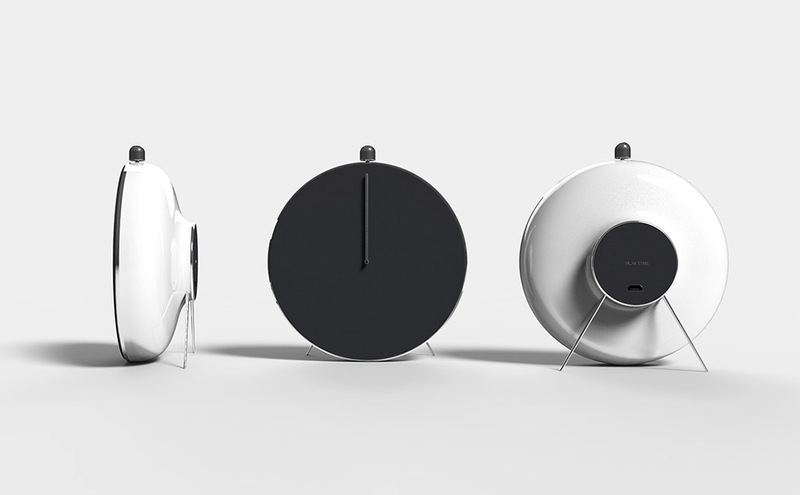 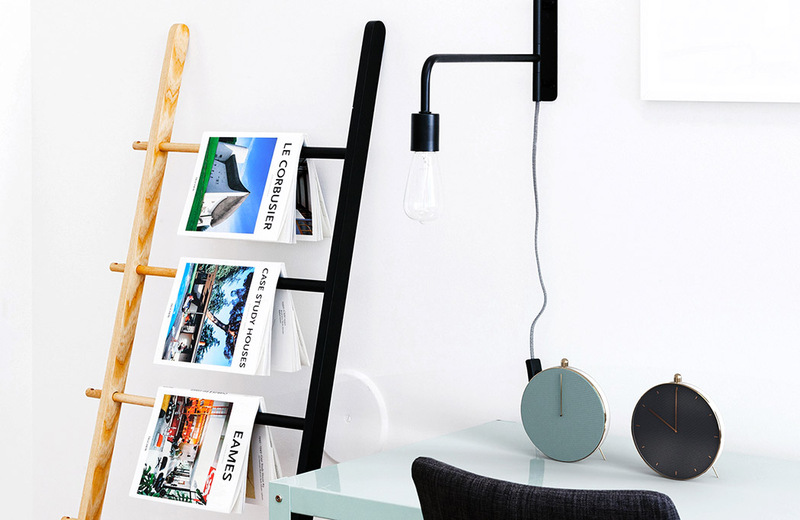 In general this is a clock which at the same time is a speaker but vice versa – a hybrid analog clock/Bluetooth audio player. 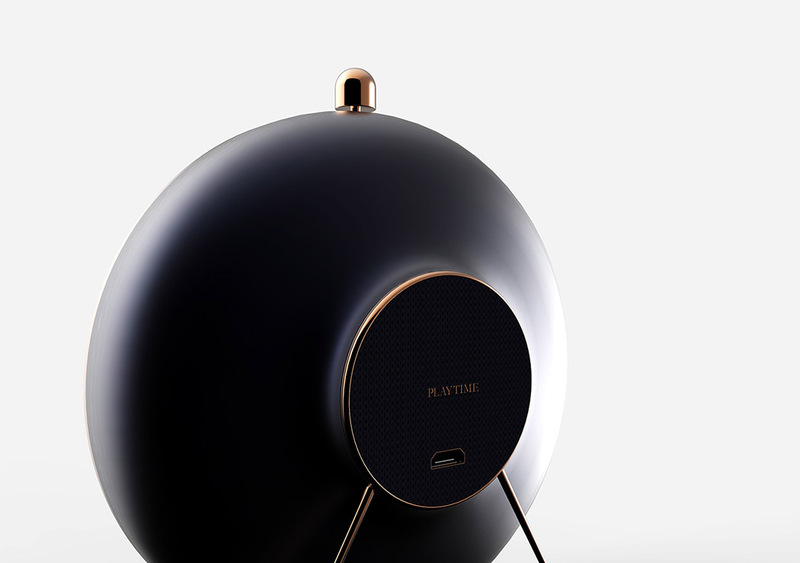 With its oversized alarm-clock aesthetic and polished finishes, it’s almost unrecognizable as a speaker and that’s precisely its appeal. 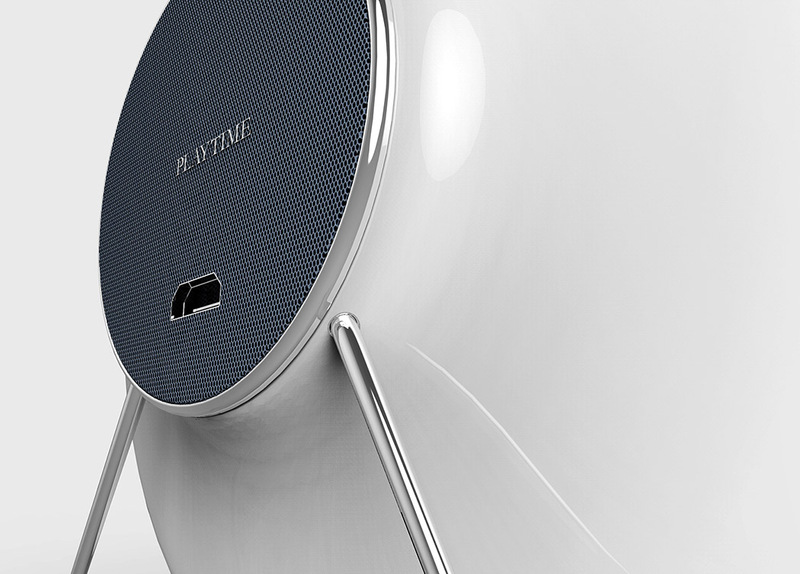 Even its needle is a disguised digital music playback bar, indicating the duration of the music. 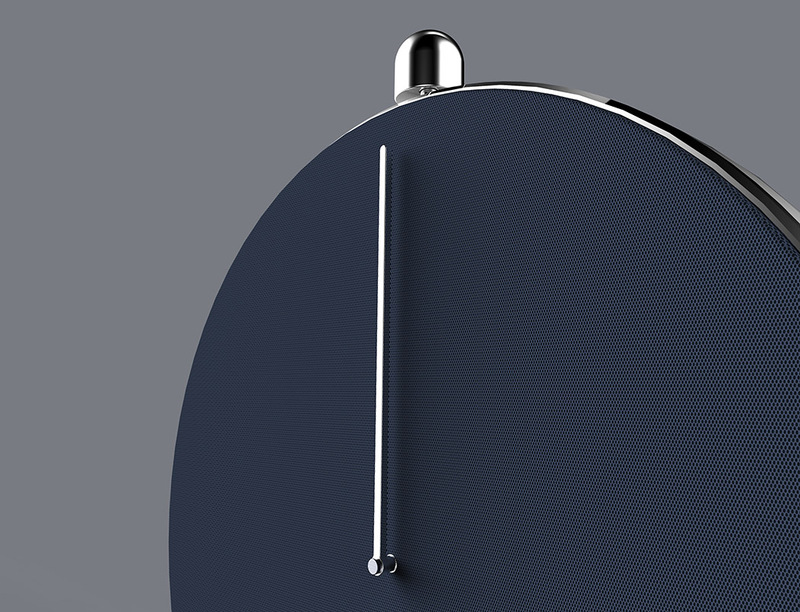 Just like you can see the progress bar in your music app, you can also see it on the clock face!